Starbucks Chairman and CEO Howard Schultz speaks during the Starbucks 2016 Investor Day meeting in New York. Starbucks says it will hire 10,000 refugees over the next five years, a response to President Donald Trump's indefinite suspension of Syrian refugees and temporary travel bans that apply to six other Muslim-majority nations. Schultz said in a letter to employees Sunday, Jan. 29, 2017, that the hiring would apply to stores worldwide. Howard Schultz, the coffee retailer's chairman and CEO, said in a letter to employees Sunday that the hiring would apply to stores worldwide and the effort would start in the United States where the focus would be on hiring immigrants "who have served with U.S. troops as interpreters and support personnel." Schultz, a supporter of Hillary Clinton during the presidential run, took aim at other parts of a Trump agenda focused on immigration, repealing former President Barack Obama's health care law and restructuring trade with Mexico. The letter said that Starbucks would help support coffee growers in Mexico, provide health insurance to eligible workers if the health care law is repealed and back an Obama-era immigration program that allows young immigrants who were brought to the country as children to apply for a two-year reprieve from deportation and a work permit. The move reflects the increasing complexity that businesses face when dealing with the Trump administration. 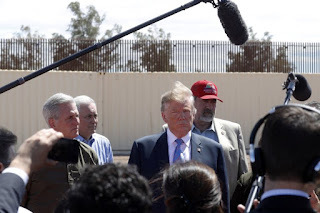 Trump has met with CEOs at Ford, General Motors and Boeing and asked them to create jobs in the United States, while touting each announcement about new factory jobs as a success even if those additions had been planned before his presidential victory. But not all corporate leaders have embraced Trump. 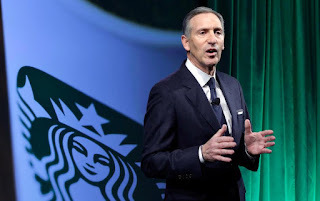 Schultz added that Starbucks would aim to communicate with workers more frequently, saying Sunday, "I am hearing the alarm you all are sounding that the civility and human rights we have all taken for granted for so long are under attack."